Most people love to decorate their homes during the holidays. We may place a Christmas tree in the living room, hang fun decorations throughout the house, and decorate the kitchen with festive towels and kitchen accessories. But what about the bathroom? Have you been neglecting this room in your Christmas decorating? It’s easy to decorate your bathroom for the holidays. Christmas shower curtains can quickly add a large splash of color to even the smallest of bathrooms. 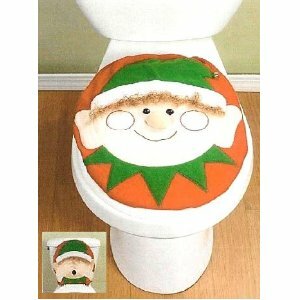 You can also add colorful Christmas bath towels, hand towels and washcloths. Depending on where you shop, you may be able to find a complete Christmas bathroom set, with matching towels and washcloths, or you can mix and match your own. Try to match the feel of decorations throughout the rest of your house. 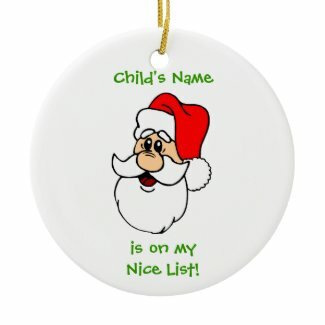 Do you have many whimsical decorations with Santa Claus, Frosty and other holiday characters? Or do you have more traditional and elegant decorations? If you have the latter, you may want to simply add some solid-colored towels that match the colors used throughout your house. If you already have whimsical decorations, you’ll find plenty of choices for the bathroom. In addition to Christmas towels and shower curtains, keep an eye out for festive soap dispensers and holiday-themed toilet sets. These humorous sets might feature Santa, Frosty or even one of Santa’s elves. Any of these choices will certainly brighten up one of the most-used rooms in the house for the holiday season!